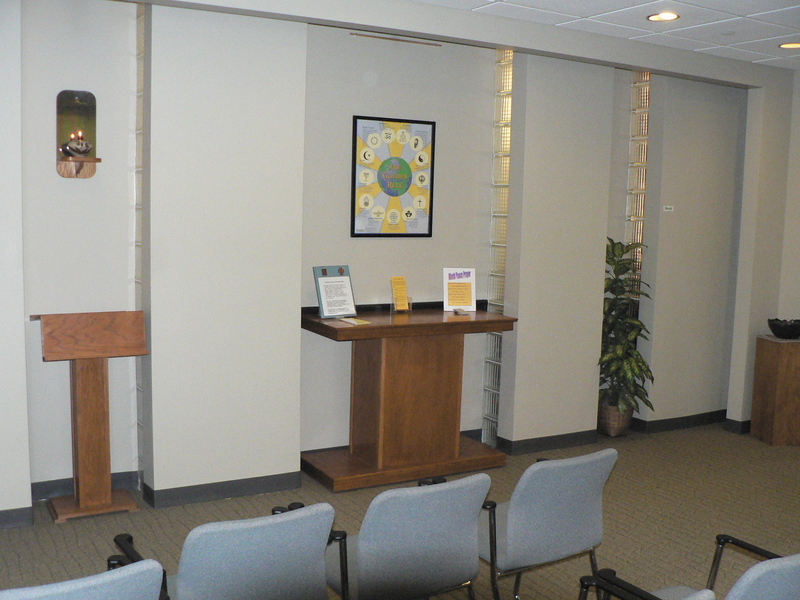 The chapel, located on Level 3 in Terminal 4, is open 24/7 as a place for prayer and quiet reflection. When visitors enter the chapel they find an array of booklets that address many personal, family or work-related topics. These are free for the taking and provide helpful information that people appreciate. Each year almost 2,000 copies go out. a location for helpful information on a variety of personal problems or concerns. The airport chaplaincy began its work at Phoenix Sky Harbor International Airport in 1987 under the leadership of Rev. Dean Freed as organizing chaplain. For several years an office in Terminal Two provided a small work space. Initially the chaplaincy was incorporated as Sky Harbor Ministries Limited. 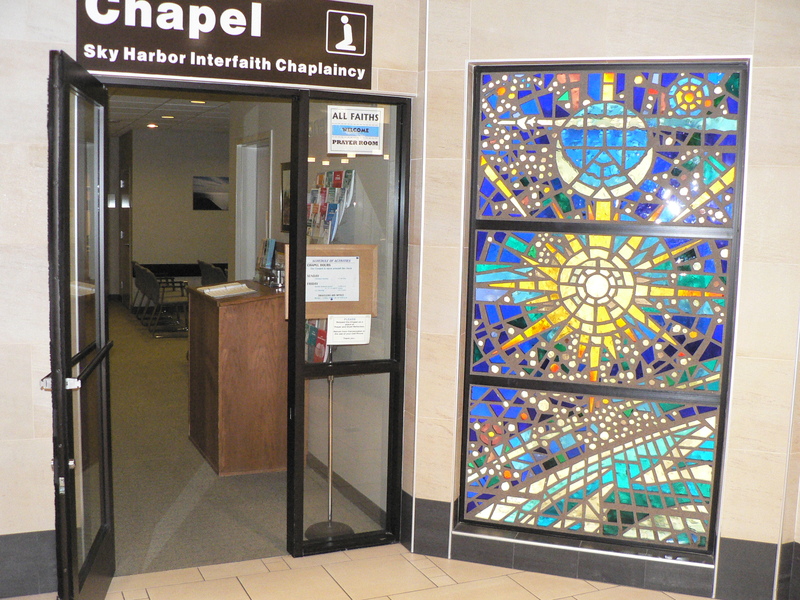 In 1991 the name changed to Sky Harbor Interfaith Chaplaincy, Inc. (SHIC) to reflect that the ministry included all faiths in its service to passengers and airport/airline staff. In July 1993 Rev. Al Young succeeded Freed as chaplain upon his retirement. A chapel opened in Terminal Two in 1995, using space that had been a bank branch site. In 1998 the chapel moved to space especially built for it in Terminal Four. This location included a chapel, conference room and office. A gradual increase in calls to aid distressed passengers and people who faced life- threatening situations led SHIC to join Travelers Aid International (TAI) in 1999. This step gave the Chaplaincy access to TAI programs that would be helpful to people among them is a Greyhound Bus Lines 25% discount on one way tickets. Aid to travelers was further enhanced in 2006 by adding a social service case manager to the staff.